The V60 dripper from Hario is designed for brewing up to 4 cups at once with a maximum capacity of 60g of ground coffee. You can switch from brewing your coffee directly into a mug for one person to a jug of a litre of coffee to enjoy with friends. Use a ratio of 60g of coffee for 1 litre of water. If your making for one then most cups will be about 300ml so you need 18g of coffee. Grind the coffee coarser than espresso like sand. Boil fresh water and wait 1 minute to let the water cool to approx 95c. 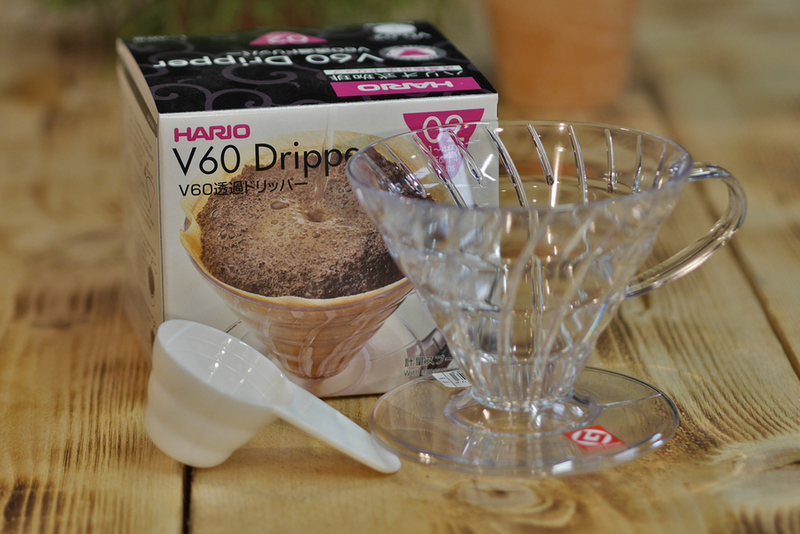 Place the filter paper in the V60 and pour some water over the filter paper to rinse. Place the ground coffee in the now wet filter paper then start pouring slowly onto the ground coffee. The pouring and drip time should take about 3-4 minutes.